California teachers, you should be showing your students more movies. And not for babysitting purposes, or to fill holes in your lesson plan. As our state considers new frameworks for the history and social science taught in each grade, now is the time to incorporate that signature California art—film— into classes at every grade level. And the most important movies should be placed at the center of our efforts to teach history—especially the history of California. Have a problem with that? Well, I suppose I could quote a former mayor of Carmel and state parks commissioner and suggest that you “Go ahead, make my day.” Or I could utter a single word: Rosebud. What we’ve got here is a failure to communicate. (Cool Hand Luke.) And this is not a trivial matter; it is the loss of the essence of our state’s history. The California we know—in reality and image—was made and remade by the motion picture. Hollywood remains a signature industry (one supported by state taxpayers at that). And our greatest films are California monuments. To be ignorant of them is akin to being Chinese without knowing of Confucius, or to being German without having read Goethe. So let the education begin now. 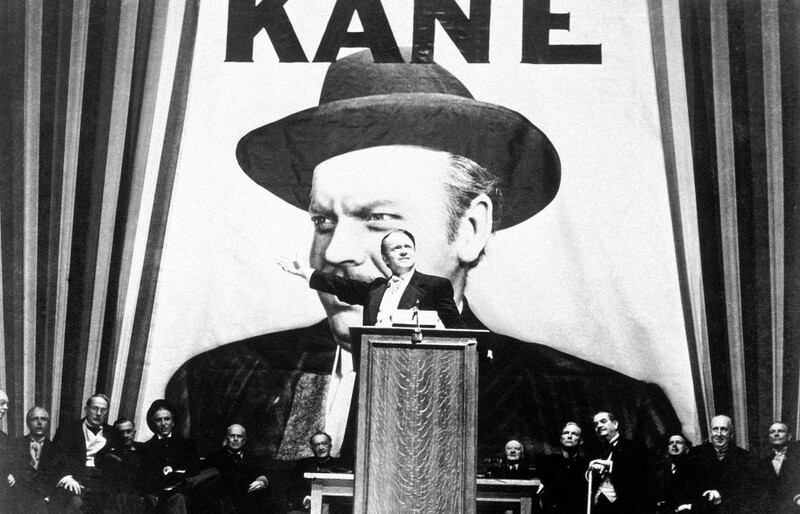 “Rosebud” is the signature word of the 1941 film Citizen Kane, ranked No. 1 on the American Film Institute’s list of the 100 greatest films of all time. Any Californian who does not know the film intimately simply does not know their state. Citizen Kane is a fictionalization of the life of a towering figure of American and California history: the newspaper publisher William Randolph Hearst. His story remains relevant today, in a state of new media titans with outsized appetites. The Hearst Corporation now owns the San Francisco Chronicle, and his mansion, the Hearst Castle in San Simeon, is a public landmark that every California child should visit. But when you look through the state standards for class content—what all California children are supposed to learn—you won’t find one word about Hearst or Citizen Kane. Indeed, in the 68 pages of standards for history and social science classes, there is exactly one sentence that mentions the entertainment industry. The good news is that there is now an opportunity to fix the problem. In the midst of creating new instructional frameworks, California now has a draft of the new history and social science framework—long outlines of what California student should be taught in each grade and subject—available for public comment through February 29. The bad news is that the draft on California history says nothing about film, movies, or Hollywood. (There are the briefest of mentions of film in the U.S. and world history drafts—but only in reference to the Cold War-era black list, ’60s counterculture, and globalization). And the draft framework on California history focuses far too much on the era before statehood and the diverse racial and ethnic origins of the people who came to California in different eras—to the detriment of focusing on what the children and grandchildren of those migrants did once they came here, and the culture that bound them together. And no one should get a degree from a California high school without seeing the classics that are signatures of our state’s history. These should start with Alfred Hitchcock’s Vertigo—the essential film of Northern California—and Chinatown—which still explains, better than any other document, Southern California’s dark view of itself. Other California movies that should be in the canon, along with Shakespeare and great works of literature, include Sunset Boulevard, The Graduate, Some Like It Hot (shot at the Hotel del Coronado), The Grapes of Wrath, The Maltese Falcon, Annie Hall (to understand why New Yorkers are so dismissive of us), and Blade Runner. I’d also add, for cultural relevance, California movies like El Norte, Stand and Deliver, Pulp Fiction, and The Joy Luck Club. Incorporating film into class is not a new idea. My own quick search found electives in film—taught in both art and history departments—in dozens of California high schools. Websites for teachers are full of lesson plans built around movies from High Noon to 12 Years a Slave, with advice on how to present movies (with the class lights on, so no one goofs off or nods off). Films illuminate historian Kevin Starr’s juxtaposition of “the California of fact and the California of imagination.” For example, you could teach California’s essential water history by comparing the fictions of Chinatown with the very different facts from any number of books. Of course, basing California history in films will require overcoming the prejudice that movies are entertainment, not educational tools. I’d point out that, if you look for places showing classic films, you’ll find yourself near our finest institutions of higher education. I was glad to see Laura, the 1944 film noir, and The Philadelphia Story, the 1940 romantic comedy, playing at the Stanford on University Avenue in Palo Alto last weekend. Let’s also keep in mind the words of Audrey Hepburn: “Everything I learned I learned from the movies.” And if you’ve never heard of her, get yourself to the next classic movie night at the Vine Cinema in Livermore. They’ll be showing Breakfast at Tiffany’s. Primary editor: Andrés Martinez. Secondary editor: Pau Bisceglio. *Photo courtesy of Octubre CCC.